"It's my absolute ambition that you are touched to the core of your being with the content…." "What Logicomix does that few works in any medium do is to make intellectual passion palpable. That is its greatest strength. And it’s here that its form becomes its substance." 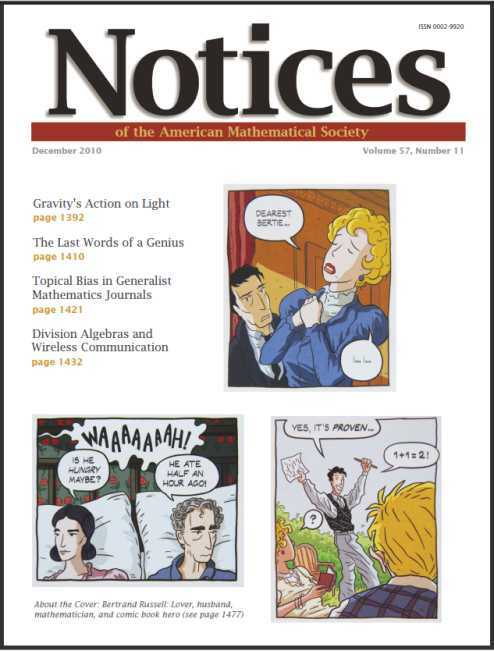 The December 2010 AMS Notices cover has excerpts from Logicomix. "In the classical grammarians’ sense of the power of form over 'content' and style over 'substance,' he originated the phrase, 'the medium is the message.'" See also, in this journal, The Medium is the Message, Wechsler, and Blockheads .